I ordered my Mark 3 Superb 140TDI 140kW on its week of launch back in July 2015, and got it by the end of September 2015 from a local dealer in Bucharest, Romania. 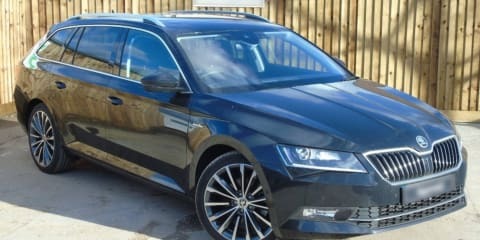 This is my third Skoda and the most expensive one. The list price was EUR31,000, but I managed to pay just EUR28,000 due to discounts, fidelity et cetera. My previous car was a Superb Mk2 TDI 125kW with a manual transmission, so when evaluating the car, I compare it against its predecessor in its trim level, transmission and power. As I use the car for long trips, holidays and carrying bulky staff around (like bicycles), I was looking for liftbacks or SWs for the better access to the trunk in order to put the big items. I am a big Volkswagen AG (VAG) fan, driving when I was at my parents’ various VWs and an old Audi 100. 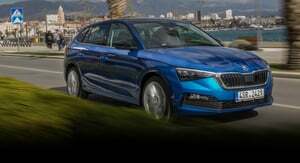 Interestingly, Skoda is the only VAG brand that has the cars from all segments with a hatch (Fabia, Octavia, Rapid, Superb et cetera). VW is not offering liftbacks anymore due to its marketing strategy, and I don’t like the appearance of the Golf and Passat SW, so I did not have many choices but the Superb. Because we live in the European Union, the gas prices are high and as a result 90 per cent of large family cars are diesels. The residuals are a laugh on gas-powered cars. 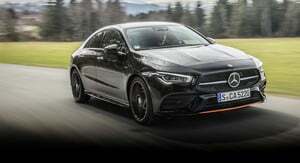 With that in mind, the only option was to go the high-output TDI (140kW between 3500–4000rpm and 400Nm of torque from 1750–3500rpm) and for the pleasure of driving I’ve chosen the manual six-speed transmission and Driving Mode select. Being a manual with steel spring suspension, the Driving Mode select can adjust just the steering, the engine response, air-conditioning and the adaptive headlights (HIDs). and it’s a bit lighter (not the case with my car due to the tow bar option I ticked). The car is very stable on roundabouts and is deceptively quick, leaving you at constant risk of tickets. The engine is very responsive, the gears are well balanced, favoring high-speed cruises on Autobahns where I reached speeds in excess of 200km/h with ease (I maxed it at 240km/h on the dials). 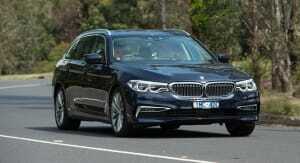 At 160km/h on the highway it reads just below 3000rpm, making it quiet and comfortable. The average consumption in 11,000km is 6.72L/100km. The minimum was 5.78L/100km in summer, and the max 7.67L/100km in winter (measured at the pump). The computer indication is showing 96.48 per cent of the real consumption on average. 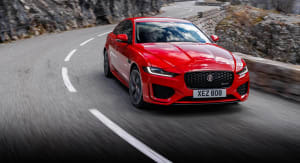 As for safety, it comes standard with autonomous braking, knee airbag for the driver, and the complete package except the optional lateral rear, LED daylights in front and LEDs at the back. 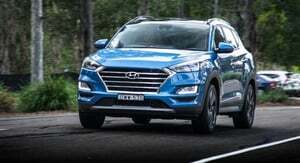 The car comes with a four-year warranty but no more than 120,000km, or two years with unlimited mileage. The first oil change and service inspection are set up after two years or earlier if the computer says so. Being a EURO 6 high-power diesel engine, it comes with an AdBlue tank of around 19 liters that lasts around 10,000km. This is a new fluid (besides fuel, washer fluid) that needs to be filled and checked. So I would call it a minus. The car is well connected to my iPhone via Bluetooth, Wi-Fi and CarPlay, and uses two colour displays (one between the dials and one on the centre console of 6.5 inches) though both are quite small. The MY17 model will get 8.0 inches standard. The rear windscreen wiper is an option but is a must. In order to be very aerodynamic, the VAG engineers completely eliminated the small spaces between windows and metal (and this is quite an achievement), and as a result, when driving in rain, all the water from the roof is falling on the rear window, making it almost hard to see. This is an unusual behavior for a sedan, which usually keeps the rear window dry at high speeds. This would be something for the engineers to fix somehow. 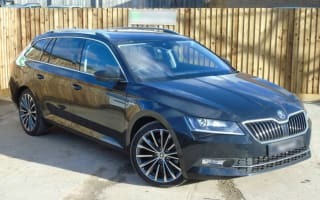 I am very pleased with this Skoda Superb, and I would recommend it for long journeys and as a limo/taxi car with special parking places. Otherwise, it is a pain to park this barge in crowded European cities.